Articles for March 2011 Year » SoftLab-Portable.com - Portable Soft! With this resize image software, you can create e-mail friendly versions of your images, load them faster, move them easily from folder to folder, change their format, edit large numbers of image files/batch image resize and thus save space on your hard drive. Using high resolution 1600x1200 for creating wallpaper or file-sharing you can save your memory. VSO Image Resizer can also change file names using a template and you can add your own watermark with transparency support. FantasyDVD is a exquisite and powerful software DVD player. Have with the same features and controls of the living-room DVD player and support over 70 type video and audio media files. 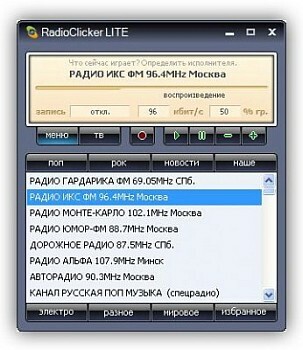 Support the ts, tp, trp mpeg2 HDTV, wmv HDTV and mkv, mka, mks formats HDTV. Its advanced video and audio technologies deliver the highest quality viewing and listening experience possible on the PC. FantasyDVD has a perfect DVD navigation system, rich audio and video effects, is stable and easy use, and can meet all the demands of DVD playing. Acting as professional HD converter software, 4Media HD Video Converter supports decoding and encoding of all High-Definition video formats including HD AVI, H.264/AVC, MKV, AVCHD, HD MPEG4 TS, HD MPEG2 TS, HD WMV, HD Quick Time, etc. Also you can convert general video and audio formats for playback on various digital devices. You can put the output videos on PS3, Xbox, Apple TV, as well as iPod, iPhone, Zune, Archos, iRiver PMP, Creative Zen, mobile phone, and other multimedia devices. The easy-to-use HD video converter allows you to drag and drop, get snapshot when previewing, set several output profiles for the same source to convert HD video, and adjust various parameters like bit rate, frame rate, sample rate and so on. The cleaning tool for your registry. Do you remember how trouble-free and fast your new PC was? Regain some of that performance by updating the Windows registry with the Ashampoo Registry Cleaner. With the Ashampoo Registry Cleaner you will easily and safely delete redundant or damaged registry entries. Faulty links in the registry are also repaired. 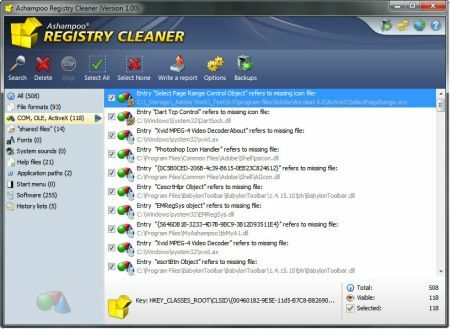 The real-time backup in the Ashampoo Registry Cleaner offers a maximum of safety and enables the restoring of the windows registry into its original status anytime. You’ll be amazed how the Ashampoo Registry Cleaner will quickly and easily improve the performance of your PC!